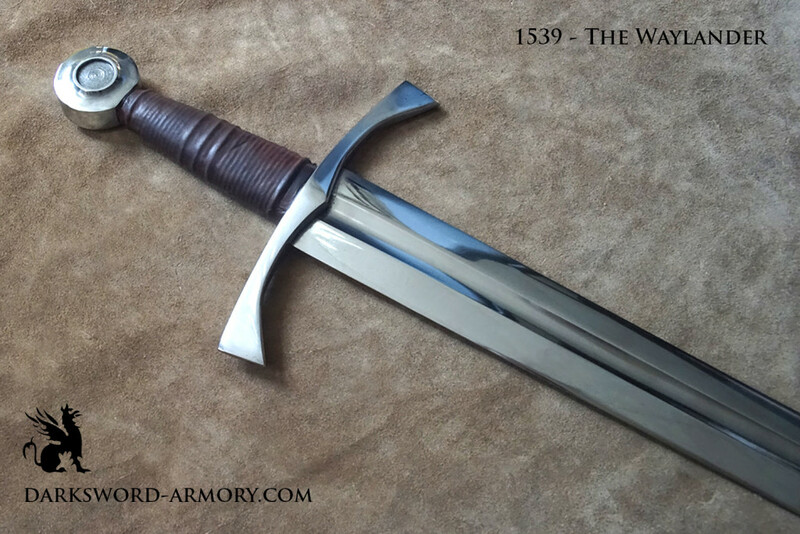 The Waylander, Inspired by the classic fantasy novel, is based on the battle ready swords of the 14th century. 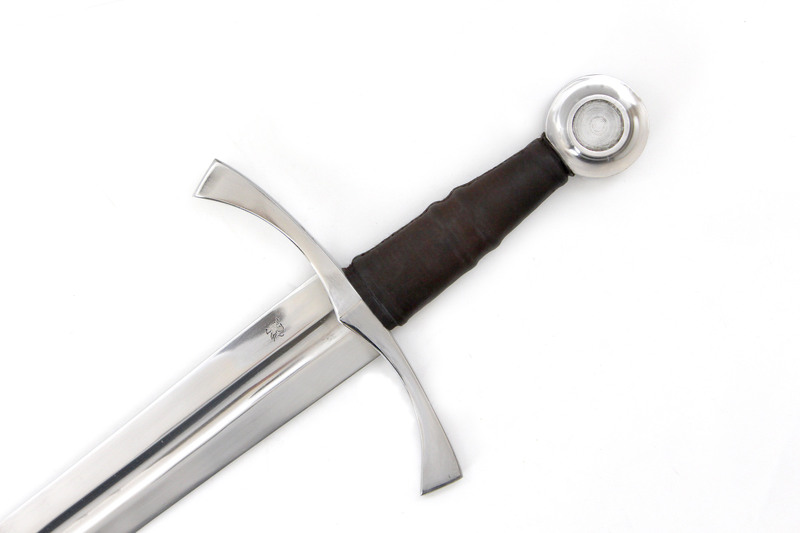 The tapered blade, dawned with a ¾ length fuller, offers an excellent point of balance (P.O.B) to this one handed medieval sword. 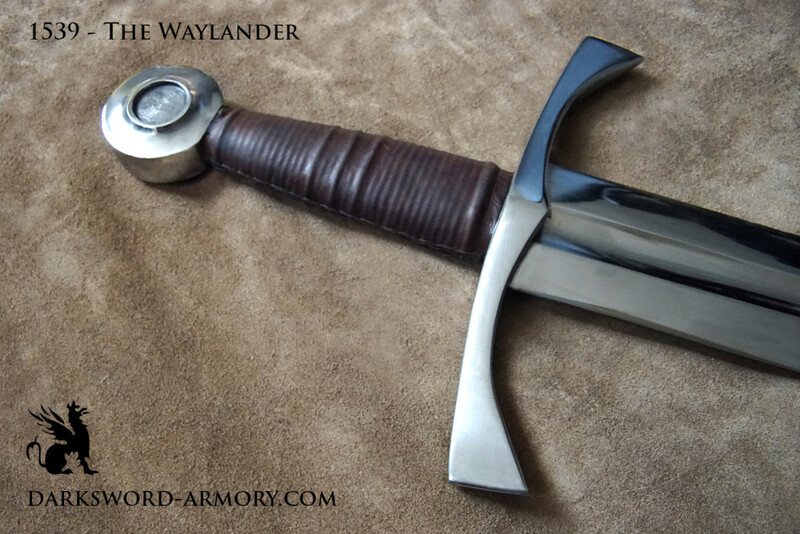 The Waylander, Inspired by the classic fantasy novel, is based on the battle ready swords of the 14th century. 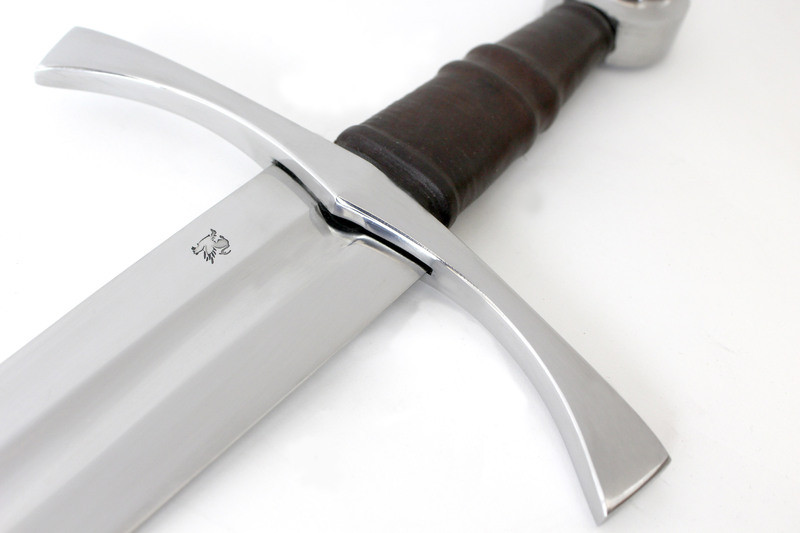 The tapered blade, dawned with a ¾ length fuller, offers an excellent point of balance (P.O.B) to this one handed medieval sword. 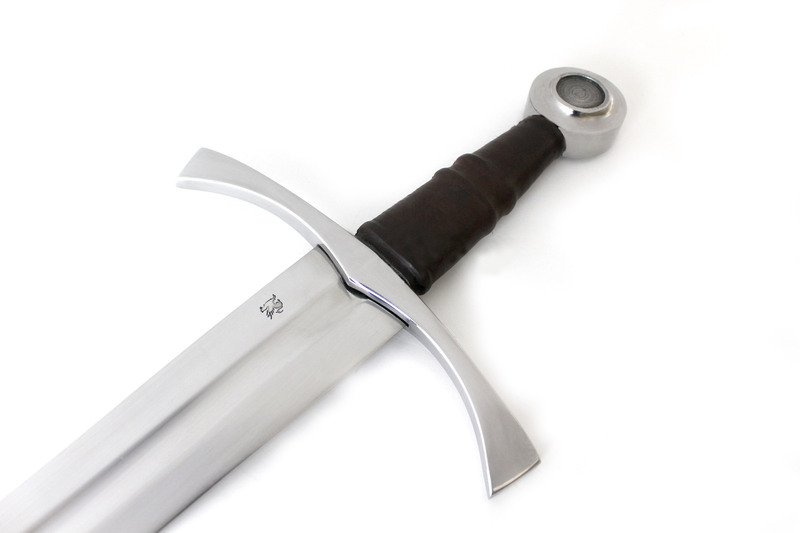 Whereas the sword has the traditional Norman wheel pommel, the guard, being inspirational in nature rather than historical, gives the medieval sword it’s character and essence. 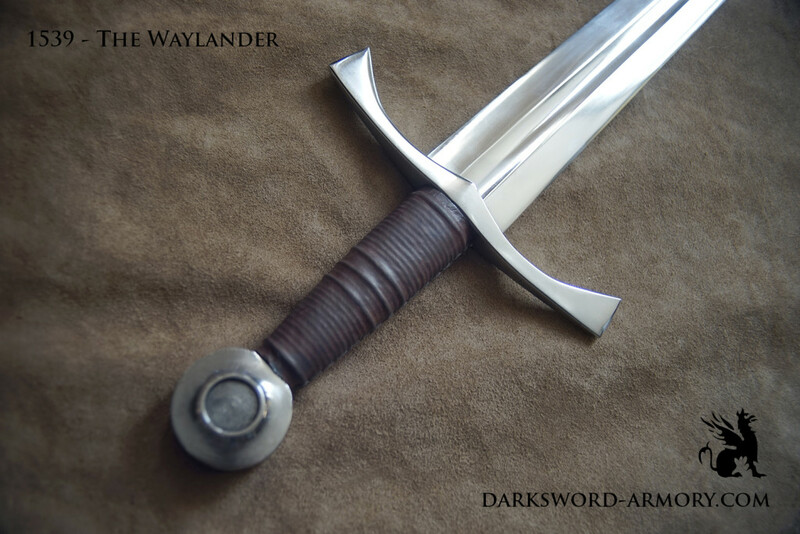 Our inspiration for this piece, was the David Gemmell’s Waylander series, a gripping tale of magic, battles and revenge. 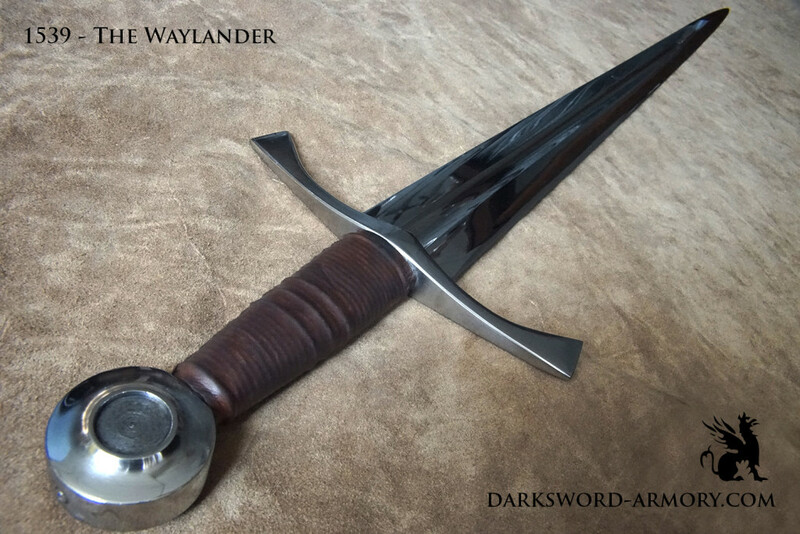 Waylander is an assassin with a tortured past, having spent nearly two decades tracking down and killing the murderers who killed his beloved family, and now works as a blade-for-hire of unparalleled skill. 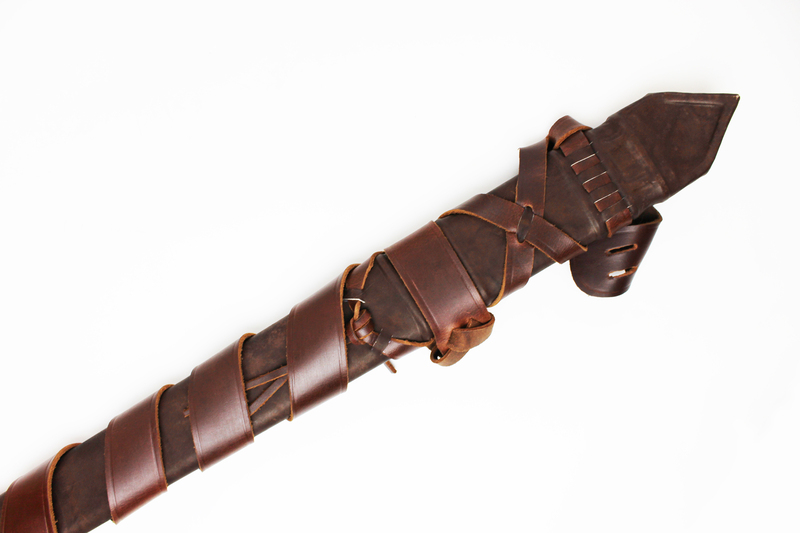 As the books begin the land of the Drenai is in peril; the king has been murdered and invaders have come to wipe the Drenai people off the face of the earth. 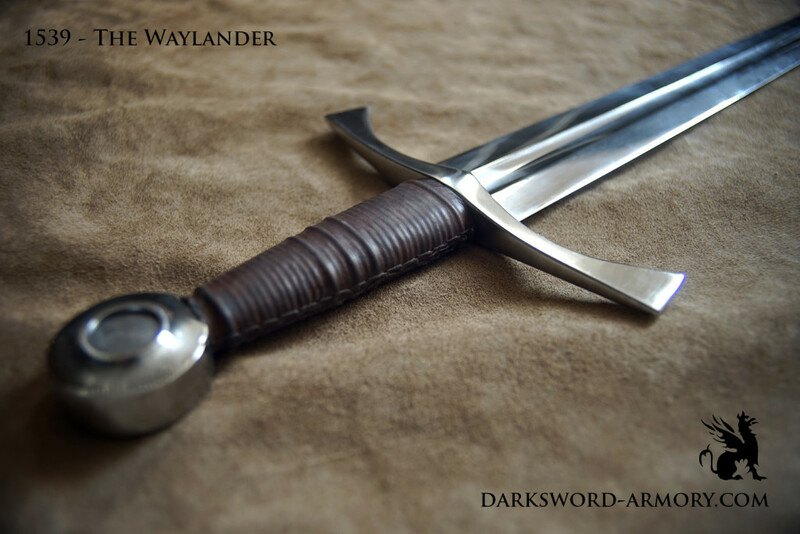 Their only hope is the assassin Waylander, but how can that be when their savior is also the man who betrayed and murdered his king? 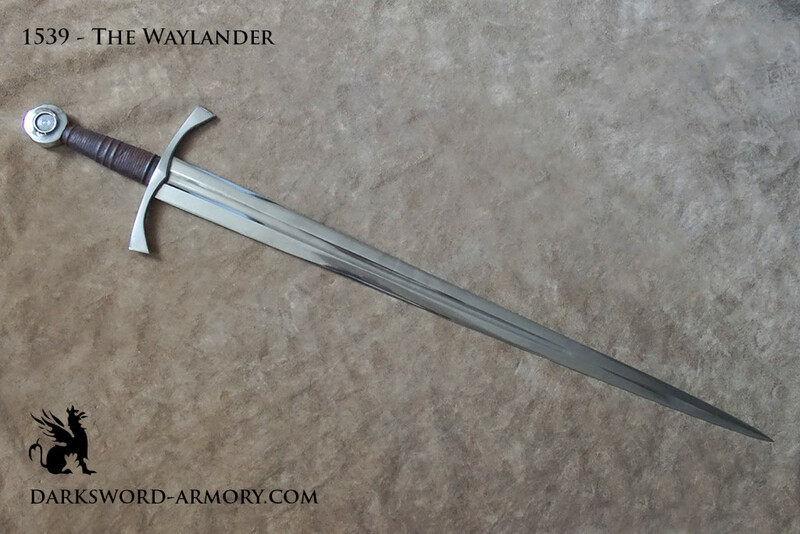 The “Waylander” battle ready sword is inspired by the spirit of the anti-hero Waylander. 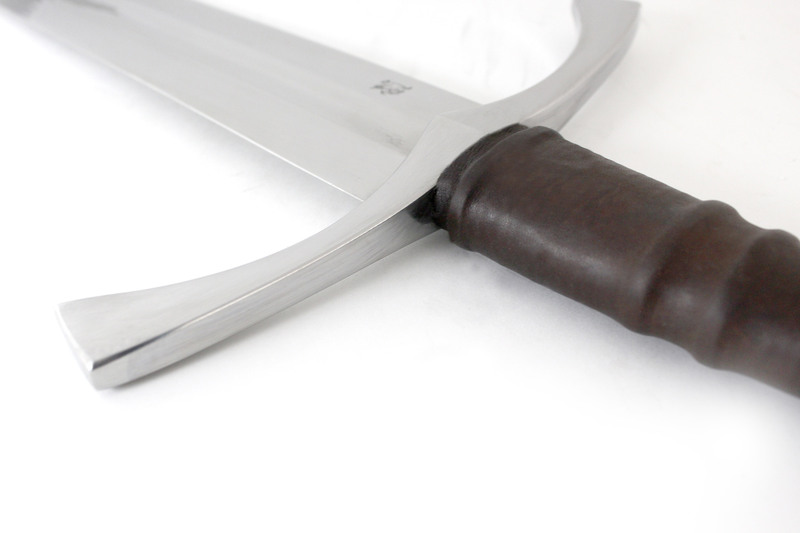 The blade is reminiscent of a standard arming medieval sword design, straight and double edged with a single fuller. 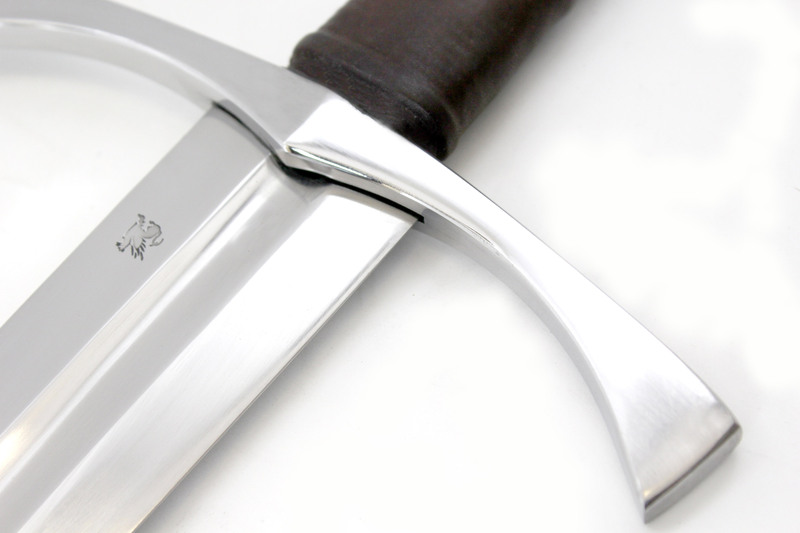 The wheel pommel is recognizable on many classic pieces as well. 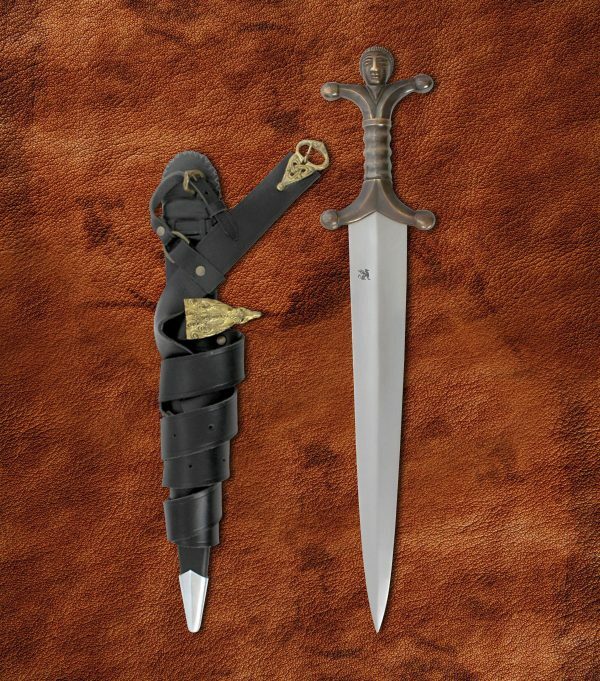 What sets this battle ready sword apart is the unique guard – a fierce, claw-like design that is evocative of the darkness that covers Waylander’s life and heart. 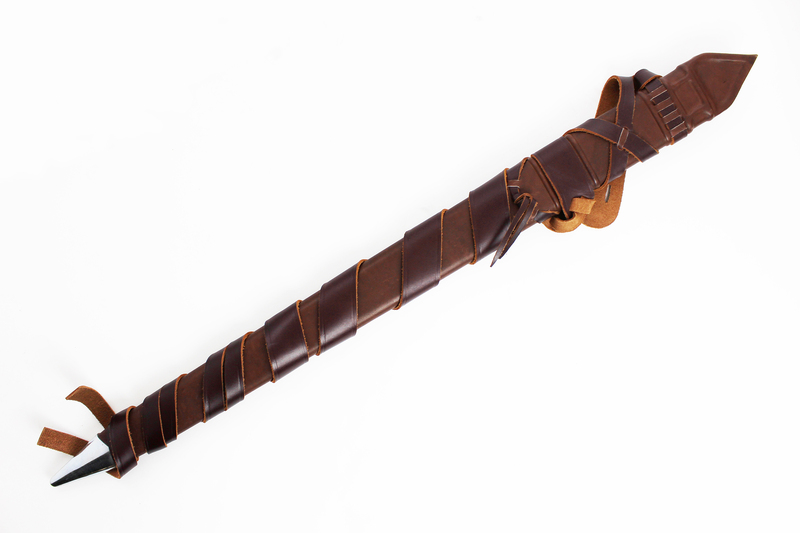 The design is finished by a brown leather that forms the grip and covers the handmade wood core scabbard. 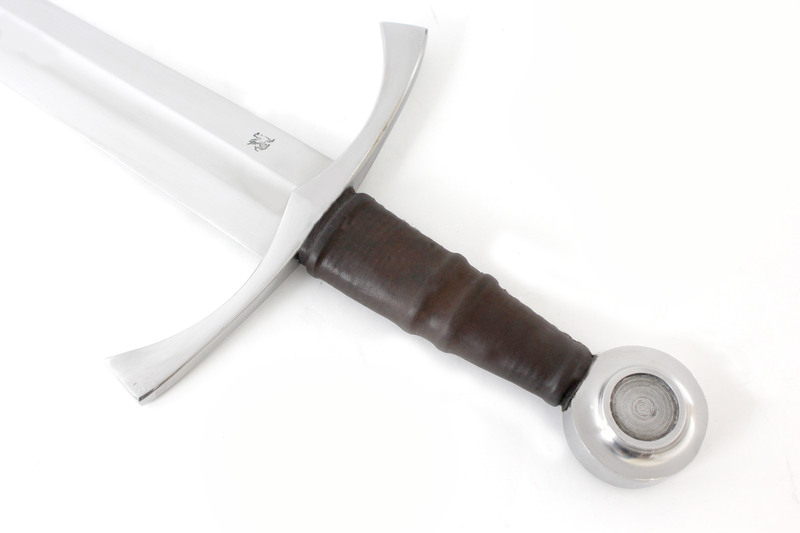 Fantastic sword! 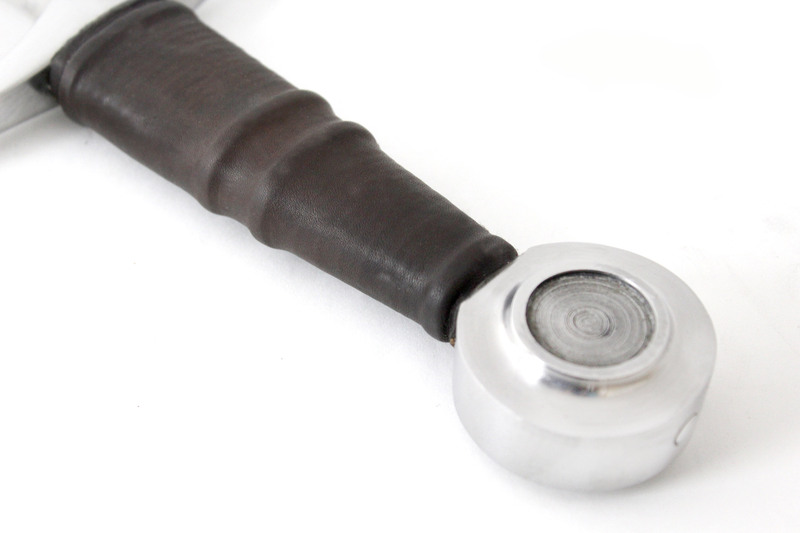 Great feel and balance at an amazing price!